HomeTour DatesNEWS: The Bronx to play free show at The Black Heart…? 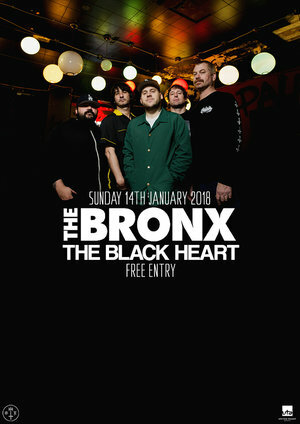 NEWS: The Bronx to play free show at The Black Heart…? It seems a long damn way to come for a single show…. but Sunday, January 14, 2018 will see garage punks The Bronx play a free (yes, FREE) show at Camden’s The Black Heart. There are literally no tickets, it’s a first come first served affair. There are no other announced tour dates for the band after that until the end of April, so it remains to be seen if this show is going to be a one off or part of a bigger UK and European run. The Bronx album “V” is out now on ATO Records. NEWS: Aversions Crown bring Deathcore to February!